Presented by Red Brand Fence. Mike Penna and Jude Feld broadcast live from Hollywood Casino at Charles Town Races and look forward to the Charles Town Classic. Special guests include Trainer Rick Violette Jr., Jockey Javier Castellano, Jim Lawson from Woodbine, Brent Elliott from Four Roses Bourbon, and Erich Zimny VP of Racing Operations at Charles Town. Presented by Red Brand Fence. Mike Penna and guest host, Mark Otto broadcast live from our Jimmy John's of Lexington Studio. Special guests include Keeneland Track Announcer, Kurt Becker, Vino Rosso owner Vincent Viola, and Jeff Bloom from Bloom Racing. 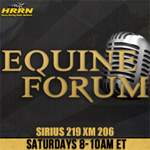 Also featuring interviews with Trainer, Rodolphe Brisset, and NYRA CEO, Chris Kay. Presented by Red Brand Fence. Mike Penna and Jude Feld broadcast live from our Jimmy John's of Lexington Studio and get ready for the weekend's Derby preps. Special guests include Jesse Ullery from Keeneland, Trainer Kiaran McLaughlin and Handicappers Michael Hernon and Steve Castagnola. Plus interviews with Bob Baffert and Mick Ruis. Mike Penna and Jude Feld broadcast live from Gulfstream Park and look forward to the Florida Derby. Special guests include Lonny Powell CEO of the F.T.B.O.A., Trainer Jonathan Thomas, Mike Nyman from Gulfstream Park and our "Road to the Florida Derby" contest winner Mark Wimsatt. Plus interviews with Julien Leparoux John Velazquez, and Mark Hennig. Mike Penna and Jude Feld broadcast live from our Jimmy John's of Lexington studio and are joined by special guest host, Mark Otto, from Red Brand Fence. Special guests include Eddie Woods, Kip Elser, Kirkwood Stables, Hall of Fame Jockey Gary Stevens, and Mike Nyman from Gulfstream Park. resented by Red Brand Fence. Mike Penna and Jude Feld broadcast from our Jimmy John's of Lexington Studio. Special guests include Maryland Jockey Club President Sal Sinatra, Jen Shah, Director of Tax Services at Dean Dorton, Hall of Fame jockey Pat Day,	Gulfstream Director of Marketing Mike Nyman, and Trainer Al Stall Jr. Presented by Red Brand Fence. Mike Penna and Jude Feld broadcast live from our Jimmy John's of Lexington Studio and look down the road to the Kentucky Derby. 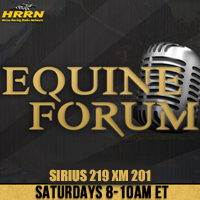 Special guests include Ed DeRosa from Brisnet.com, Trainer Bob Baffert, Mike Nyman from Gulfstream Park, and Mike Willman, Santa Anita Director of Publicity. Mike Penna, Jude Feld, and Larry Collmus broadcsat live from Garrison Savannah in Barbados and look forward to the Brabados Gold Cup and the Fountain of Youth. 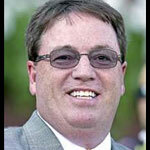 Special guests include trainer Robert Peirce, owner Ken Ramsey, jockey Jose Ortiz, and Mike Myman from Gulfstream Park. Mike Penna and Jude Feld broadcast live from our Jimmy John's of Lexington studio. Special guests include Horse owner Nick Vaccarezza, Trainer Graham Motion, and Gulfstream Director of Marketing Mike Nyman.